I know that in my own life, I simply don’t want that much stuff…but I’m always open to getting a gift that will help me learn, produce, or create something. And when it comes to gardening, there’s always more to learn, more to create, and more to produce. This is the official Epic Gardening gift guide for gardeners. I’ve used almost every single one of these products, and the ones that I haven’t have come well-recommended from good friends or other reputable websites. The Aquafarm is one of the cooler products to come out in the gardening world in the last year or so. A completely self-sustainable aquaponic system, it’s designed to grow herbs, salad greens, and wheatgrass all powered by a beautiful betta fish in the tank below. I’ve personally used 4-5 of these kits to grow my own oyster mushrooms. Until I get an official mushroom growing operation going, I’ll be using and giving these out as gifts! Every time I buy one, I’ve grown amazingly delicious oyster mushrooms (they taste a bit like lobster if you cook them up in some butter). 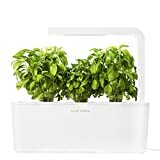 The AeroGarden was one of the first and most popular indoor hydroponic gardening systems, and it’s popular hasn’t waned at all. These days, they have upgraded their offerings and have a really neat LED system that is my pick for this holiday season. 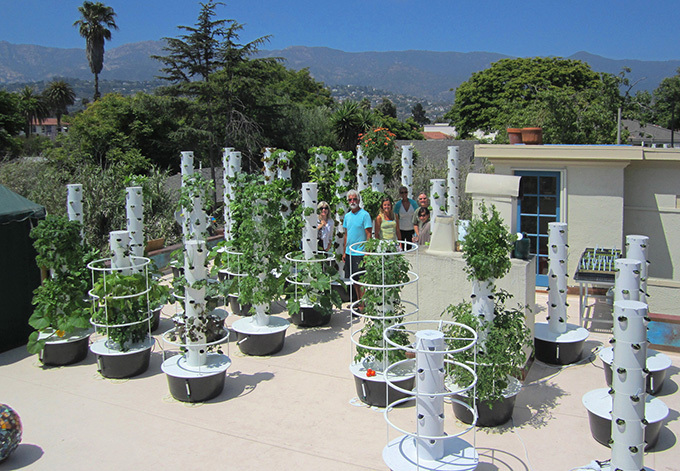 It’s a 7-pod system that uses full-spectrum 30-watt LED lights to help your plants grow. I like LEDs for this system due to the fact you’re growing only greens in a system like this, and the low-energy and low heat output of LEDs are perfect for greens. They also offer a 3-Pod system if you’re looking for a budget option that will still do the job for your garden lover. Originally a Kickstarter project, the Modern Sprout Planter was successfully funded and made it’s way into the market. 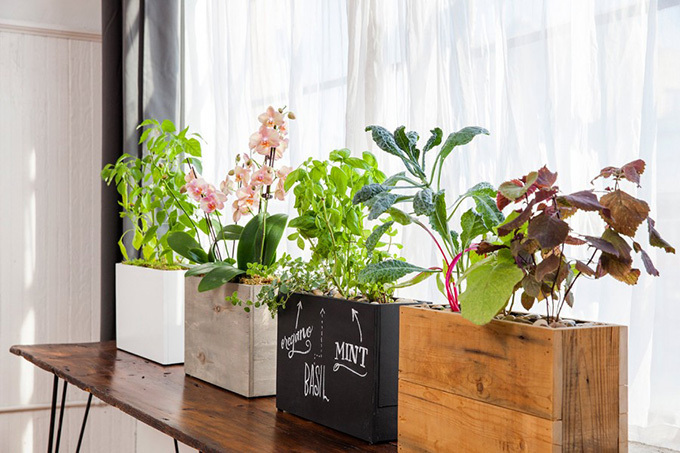 Designed to be an absolutely beautiful tabletop hydroponic planter, it’s achieved all that it’s set out to do and comes in a variety of styles. If the Tower Garden was a car, it would be a Bugatti Veyron – the top of the line in all categories. I’ve done an extensive review of the Tower Garden on the Epic Gardening blog, so give that a peek if you haven’t yet. 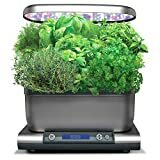 This system is one that absolutely any gardener would love to add to their ​arsenal, and it produces larger greens and veggies at a faster rate than anything else I’ve ever tested. The Smart Herb Garden from ClickAndGrow is the first truly hands off indoor garden system I’ve ever seen. All you do is add a cartridge in for whatever plant you want to grow (herbs, greens, etc) and the system takes care of the rest – watering, feeding, and lighting. Ever wondered what your root veggies look like while they’re growing? WONDER NO MORE. 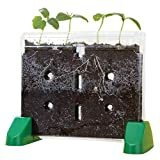 This kit is awesome for anyone that’s looking for an educational view on how their garden grows. I have one of these sitting on my windowsill and am watching radishes grow as we speak. Although a watering can might seem like a dull gift, the Haws Bosmere watering can is top of the line. It’s perfectly well balanced, holds 5 liters of water, and allows a gardener to perfectly control the amount of water that is given to each plant in the garden. Sadly, gardeners prune and kill more plants than they actually grow, but that’s the price we pay for cultivating life! Sometimes you have to control it as well. These pruning shears are best in class and will last an absolute lifetime. Stainless Steel. Made in the USA. 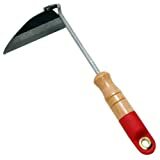 The Wilcox garden trowel is perfect for the gardener who gets down and dirty in the soil. It’s got a long blade that will last a lifetime with minimal sharpening, and short handle for easy maneverability. On top of that, there are measurements engraved on the blade for on-the-spot eyeballing when out in the garden. 5" steel blade. 11" long overall. 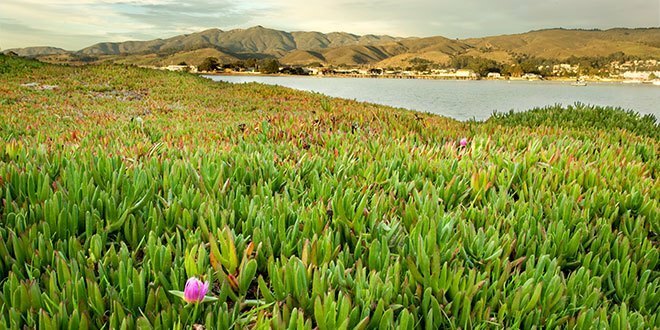 For every plant we grow, we destroy ten times as many weeds. As much as gardeners hate weeding, it’s an unfortunate fact of life in the garden…so why not pick up the best hand weeder for your garden lover than you can? 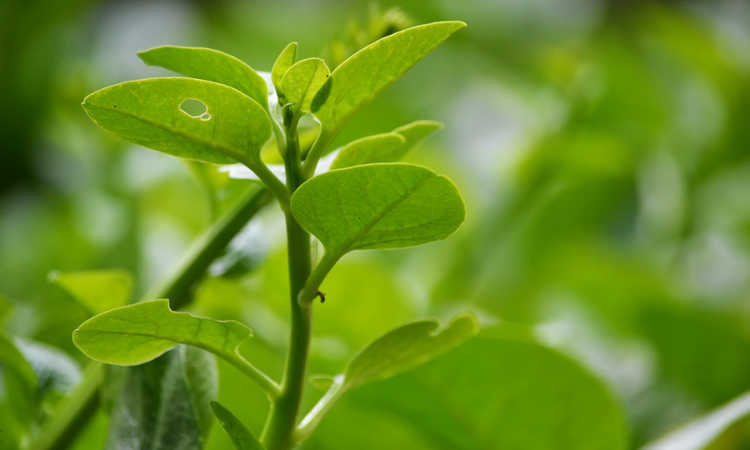 The Nejiri Gama is exceptionally well made and can work with a wide range of weeds and situations, from small crevasses to serious hacking. I have personally used the Worm Factory 360 for over 4 years now and absolutely love it. There are a lot of worm composters out there, but this is my favorite for ease of use and the simplicity of the system. We’re a weird bunch – we’d love worms as a gift. So get ’em! It’s easy to get lost in the deep dark world of grow lights, but if you’re looking for a quick and dirty suggestion on a rock-solid indoor light for growing plants, go with the EnviroGro 2″ T5. 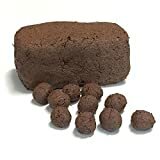 A great choice for the activist gardener, seed bombs are exactly what they sound like: little balls of life that can be thrown into empty lots, open patches of soil, or planted directly into the garden. If you’d rather make them yourself, see my tutorial on DIY seed bombs. Baker Creek Heirloom Seeds is one of the best seed companies out there, offering some of the rarest heirloom varieties of plants in the USA. You can go absolutely crazy on their site, and I’ve definitely spent a good amount of cash, but for a simple gift you can’t beat their Home Gardener’s Collection. ​It comes with a garden planner and 20 full packets of unique seeds, including melon, bean, beet, carrot, cucumber, eggplant, green pea, herbs, hot pepper, kale, lettuce, onion, sweet pepper, radish, salad blend, snow or snap pea, spinach, summer squash, tomatoes. An awesome gift for the gardener that seems to have everything…chances are they don’t have a plant that moves when you touch it! The Tickle Me plant, or mimosa pudica, responds to human touch and grows quickly – often ready to “tickle” in about 1-2 months or so. With the greenhouse kit, you’ll be able to ensure the best environment for speedy growth and maximum ticklage! 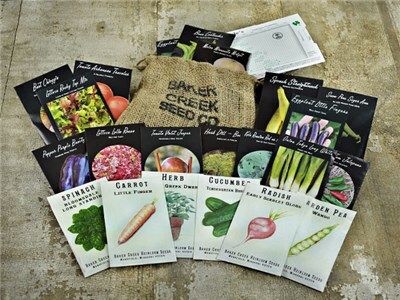 Baker Creek Heirloom Seeds is one of the most-loved seed companies in the USA. With the largest collection of rare and heirloom seeds from the 19th century, giving your garden loving friend or family member a giftcard here is like dropping a pound of ‘the white stuff’ in front of a Wall Street trader’s face – they won’t be able to resist. This is the perfect book for a hydroponic enthusiast who has progressed past the basics. 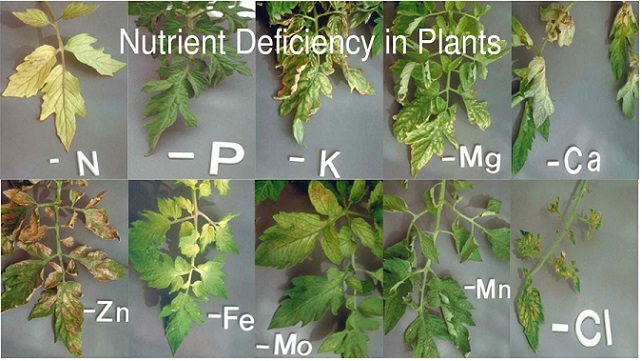 Dr. Howard Resh is one of the original masters of hydroponics. He’s got such a great command of the discipline, and an even better ability to convey it to an absolute beginner. This book gets into more of the nitty gritty details on how to really scale up an operation or optimize production. Another book by Dr. Howard Resh, Hobby Hydroponics breaks down all of the typical systems you can start out with in hydroponics, addressing their pro’s and con’s. A much better choice than the book above for a hydroponic beginner. Aquaponics is the practice of growing fish with plants (you’ll recognize it from the Aquafarm above). This book will take a gardener from start to finish, from building a system to taking care of it to harvesting both fish and vegetables. It teaches a lot more about creating a miniature ecosystem that self-sustains much more than a hydroponic system, and the book is beautifully laid out. 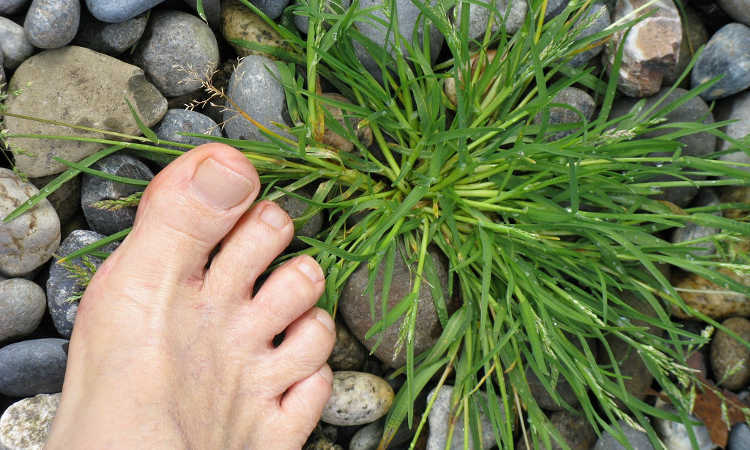 Great gardening literature from Hydrofarm. If you know someone interested in hydroponics, this step-by-step introductory guide not only introduces the basics of hydroponics itself, but how to build your own systems. This book is really solid. It shows them exactly how to set up a few of the most popular systems and teaches them the nuts and bolts of setting up their first successful grow. Have any gift ideas that we missed? Leave them in the comments below and we’ll add them! Which Plastics Are Safe For Gardening? In the book department, check out Digging Deep by Fran Sorin, fransorin.com. 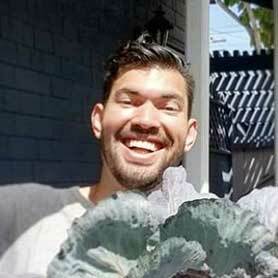 That’s a great read on all things gardening and life! We have a fish tank for the roots, it’s so much fun for the kids!